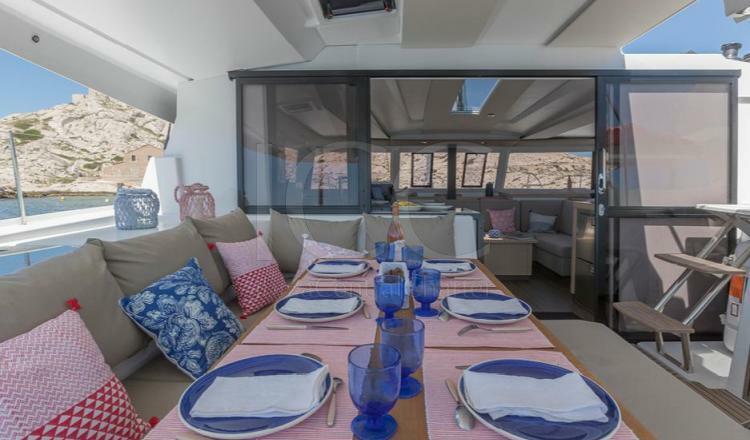 Spacious and luxurious Fountaine Pajot Astrea 42 of 14 meters available in Ibiza. 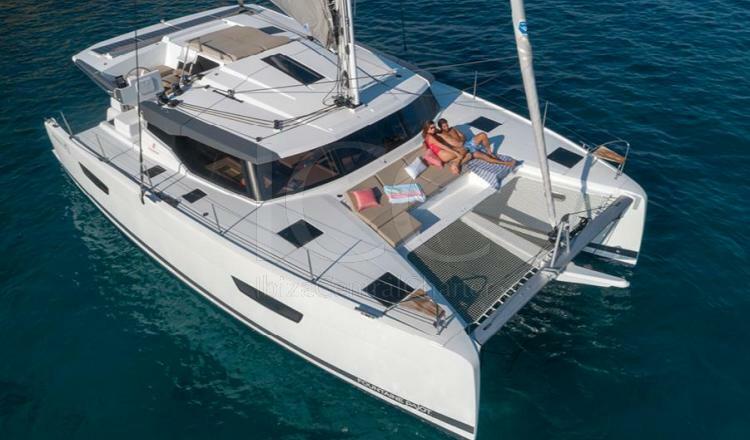 Navigate the Mediterranean with this Astrea 42 from the prestigious Fountaine Pajot shipyard and enjoy your holidays in groups or families. 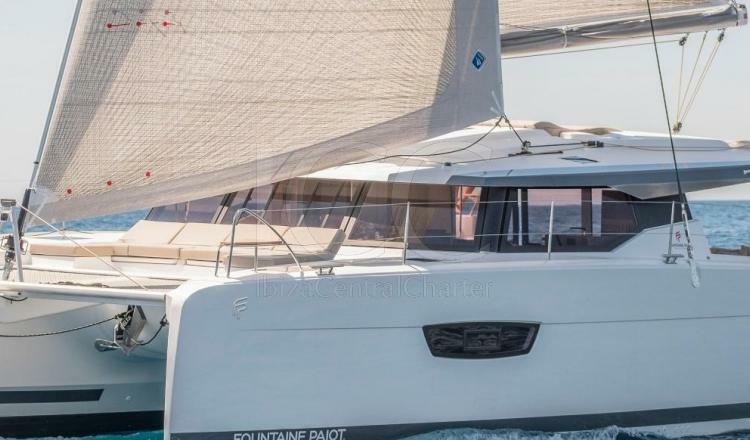 The Fountaine Pajot Astrea 42 is a catamaran of about 13 meters in length that offers a capacity for 12 people during the day and 10 people with overnight stays. Its four double cabins, with their corresponding full bathroom each, make each person have a spacious and comfortable space during their vacations. 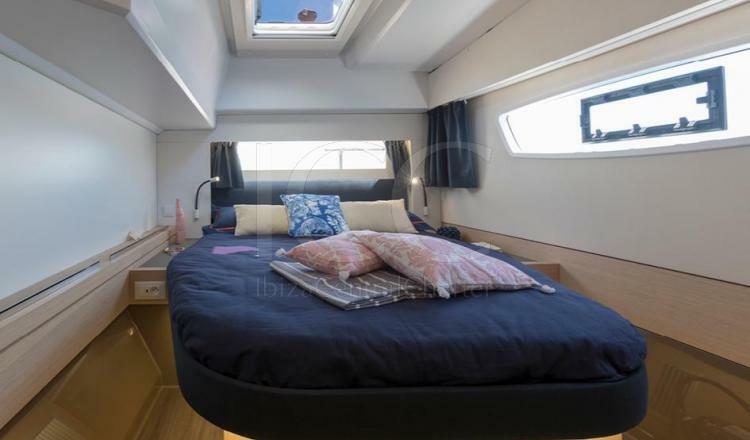 In addition, it has a hutch where the crew rests and allows greater privacy to its passengers. 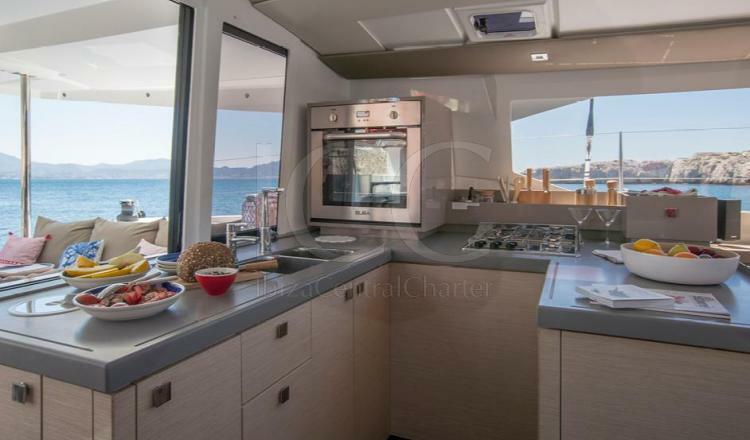 Inside is the convertible lounge that shares space with a fully equipped kitchen. Both the cabins and the living room have individual air conditioning. 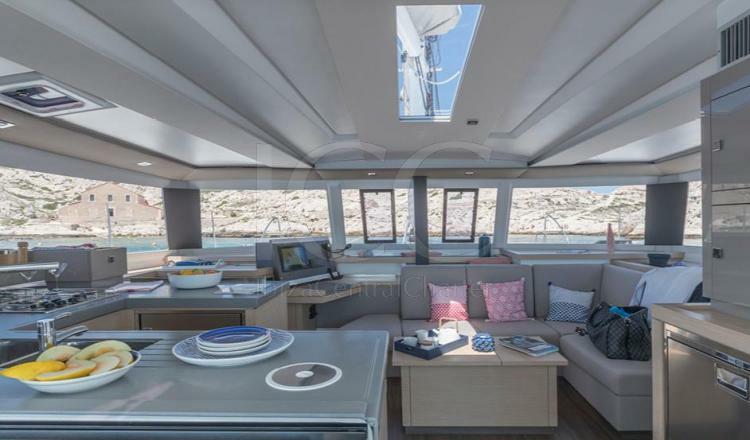 The exterior has an outdoor lounge and a large solarium with mats in the bow. The fly bridge has a lounge where you can dine outdoors watching the stars at night and a solarium to rest and sunbathe during the day. 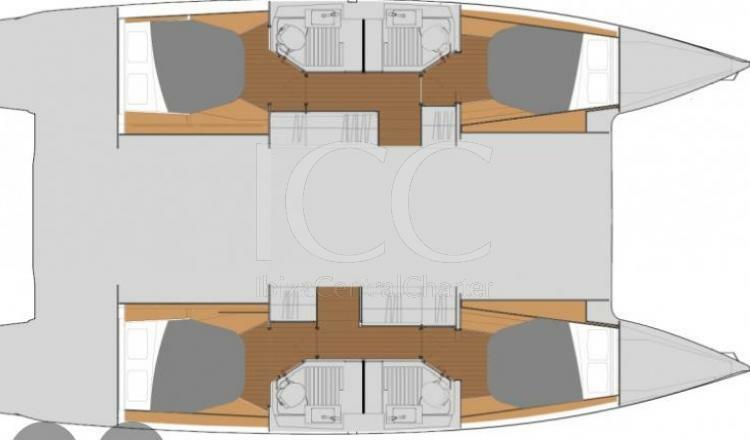 - Skipper: 180€/day + maintenance. In high season and extra only full weeks are rented, in low and half also single days. 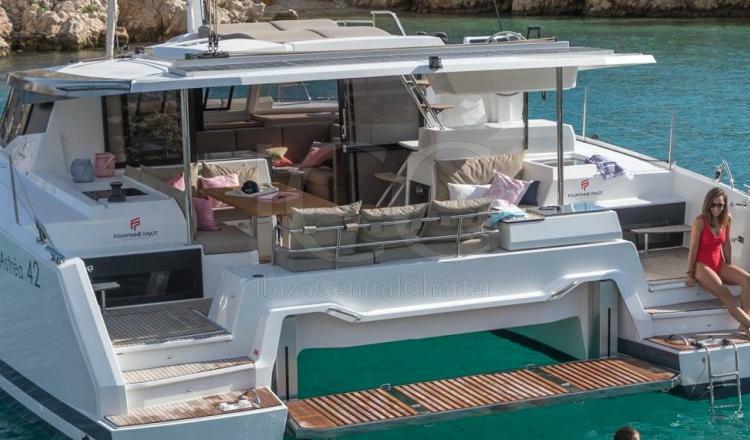 The price dor day charter includes: dinghy with outboard motor. ** It is rented without skipper from a minimum of 3 days.